Synopsis (From Goodreads): Is this happily ever after? Lucy has her life planned out: she’ll graduate and then join her boyfriend, Luke, at college in Austin. She’ll become a Spanish teacher and of course they’ll get married. So there’s no reason to wait, right? They try to be careful. But then Lucy gets pregnant. Now, none of Lucy’s options are part of her picture-perfect plan. Together, she and Luke will have to make the most difficult decision of their lives. 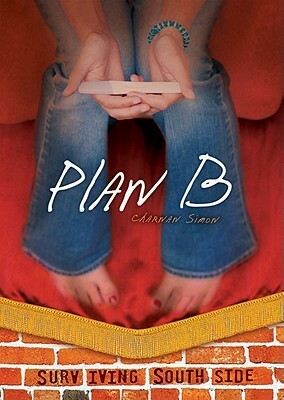 Lindsay’s Thoughts: This was a super short book, more of an outline to what could have been a decent read if the author had put some kind of spin at all on the whole “I’m a teen and I got pregnant routine.” There was just no meat to this story at all, and the ending was a terrible excuse for a cliffhanger. If you have a boring half hour, pick it up at the library. Nice List!! being from Belfast i would like to point out (ref: no.3) that Belfast is in fact in Northern ireland and NOT Ireland, it has nothing to do with Ireland and is a part of the UK. it is ruled by Great Britain.